Every baby's crib needs a sweet and charming quilt for baby to curl up under. 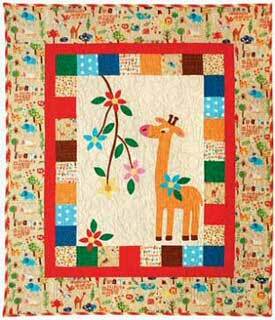 Here is a baby quilt pattern for an adorable quilt that measure 49 x 57 inches and is made using flannel fabric. This precious quilt makes a thoughtful baby shower gift for boy or girl. The pattern is available for download and has all you need to get the job done.